Looking to build a luxury, custom home in Summerfield, NC? You’ve chosen your community wisely — Summerfield boasts open, rolling countryside just northwest of Greensboro, low taxes, limited commercial development, and excellent schools. But if you’re on the fence about the best way to achieve a luxurious lifestyle without compromise, here are five top reasons to look no further for a new home builder in Summerfield or the surrounding area. 1. Develop a luxury house plan uniquely yours. With a Summerfield custom home, the homebuyer collaborates with us to create a personalized house plan. At R & K Custom Homes, we build one-of-a-kind homes that go beyond what is typical. Take a look at out available homes, for example. If you like a particular feature of these homes, such as the four-car garage with separate entry, or the theater, or beautiful bricked patio, R & K Custom Homes can custom design a home for you based on it, or make adjustments or tweaks to the many plans in our inventory. To demonstrate the quality of our work and possible options, we also keep a variety of spec homes available at varying stages. 2. Design a home according to your family’s needs. Forget about searching area MLS listings for the perfect number of bedrooms or square feet — a new home builder in Summerfield builds according to the size and specifications of your family and lifestyle. Your family literally is the blueprint for your custom home. There’s no need to compromise on your family’s comfort. 3. Capture the best features of your home site. R & K Custom Homes develops a home plan according to your preferences and to enhance your lot’s scenic views of the Summerfield countryside, or to build according to your desire for privacy. Your lot is a blank slate, ready to be customized according to its natural assets and your wishes. 4. Save time and money with R & K Custom Homes. The many choices a custom home project presents won’t overwhelm you with our experienced custom home builders. 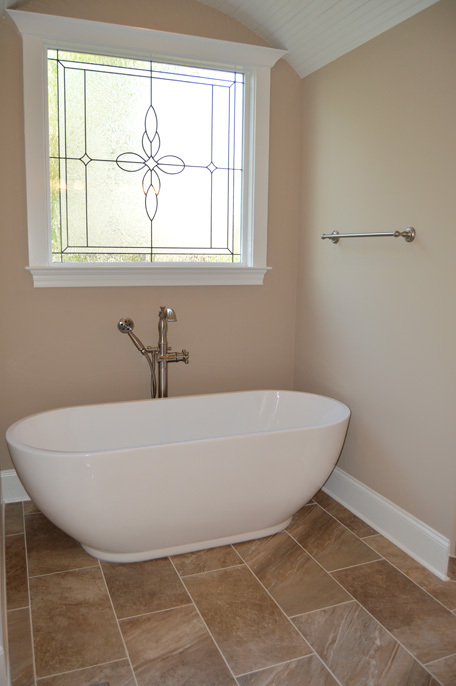 Whether you are picking out fixtures for your kitchen or tile for your bathrooms, R & K Custom Homes will make recommendations for materials that fit your budget and building timeframe. We have over two decades of experience in custom home building and have worked on projects of all sizes and budgets. We will walk you through the process. 5. Rest assured with your custom home warrantees. At R & K Custom Homes, all of our custom homes come with our one-year builder’s warranty as well as a six-year state warranty that we purchase for you through a bonded Residential Home Warranty Association. We guarantee our work and stand by it. R & K Custom Homes has built more than 300 new homes in Greensboro and the surrounding area since 1992. If you are ready to take the first step toward creating the home of your dreams, contact R & K Custom Homes at (336) 643-3503 today for a free consultation.